Endocannabinoid system in neurodegenerative disorders. Most neurodegenerative disorders (NDDs) are characterized by cognitive impairment and other neurological defects. The definite cause of and pathways underlying the progression of these NDDs are not well-defined. Several mechanisms have been proposed to contribute to the development of NDDs. These mechanisms may proceed concurrently or successively, and they differ among cell types at different developmental stages in distinct brain regions. The endocannabinoid system, which involves cannabinoid receptors type 1 (CB1R) and type 2 (CB2R), endogenous cannabinoids and the enzymes that catabolize these compounds, has been shown to contribute to the development of NDDs in several animal models and human studies. In this review, we discuss the functions of the endocannabinoid system in NDDs and converse the therapeutic efficacy of targeting the endocannabinoid system to rescue NDDs. Basavarajappa BS, Shivakumar M, Joshi V, Subbanna S. Endocannabinoid system in neurodegenerative disorders. Journal of Neurochemistry. 2017;142(5):624-648. doi:10.1111/jnc.14098. Natural Phytochemicals in the Treatment and Prevention of Dementia: An Overview. The word dementia describes a class of heterogeneous diseases which etiopathogenetic mechanisms are not well understood. There are different types of dementia, among which, Alzheimer’s disease (AD), vascular dementia (VaD), dementia with Lewy bodies (DLB) and frontotemporal dementia (FTD) are the more common. Currently approved pharmacological treatments for most forms of dementia seem to act only on symptoms without having profound disease-modifying effects. Thus, alternative strategies capable of preventing the progressive loss of specific neuronal populations are urgently required. In particular, the attention of researchers has been focused on phytochemical compounds that have shown antioxidative, anti-amyloidogenic, anti-inflammatory and anti-apoptotic properties and that could represent important resources in the discovery of drug candidates against dementia. In this review, we summarize the neuroprotective effects of the main phytochemicals belonging to the polyphenol, isothiocyanate, alkaloid and cannabinoid families in the prevention and treatment of the most common kinds of dementia. We believe that natural phytochemicals may represent a promising sources of alternative medicine, at least in association with therapies approved to date for dementia. Libro R, Giacoppo S, Rajan TS, Bramanti P, Mazzon E. Natural Phytochemicals in the Treatment and Prevention of Dementia: An Overview. Molecules. 2016;21(4):518. doi:10.3390/molecules21040518. The limited effectiveness of current therapies against Alzheimer’s disease (AD) highlights the need for intensifying research efforts devoted to developing new agents for preventing or retarding the disease process. During the last few years, targeting the endogenous cannabinoid system has emerged as a potential therapeutic approach to treat Alzheimer. The endocannabinoid system is composed by a number of cannabinoid receptors, including the well-characterized CB1 and CB2 receptors, with their endogenous ligands and the enzymes related to the synthesis and degradation of these endocannabinoid compounds. Several findings indicate that the activation of both CB1 and CB2 receptors by natural or synthetic agonists, at non-psychoactive doses, have beneficial effects in Alzheimer experimental models by reducing the harmful β-amyloid peptide action and tau phosphorylation, as well as by promoting the brain’s intrinsic repair mechanisms. Moreover, endocannabinoid signaling has been demonstrated to modulate numerous concomitant pathological processes, including neuroinflammation, excitotoxicity, mitochondrial dysfunction, and oxidative stress. The present paper summarizes the main experimental studies demonstrating the polyvalent properties of cannabinoid compounds for the treatment of AD, which together encourage progress toward a clinical trial. Aso E, Ferrer I. Cannabinoids for treatment of Alzheimer’s disease: moving toward the clinic. Frontiers in Pharmacology. 2014;5(37). doi:10.3389/fphar.2014.00037. Alzheimer’s disease is the leading cause of dementia among the elderly, and with the ever-increasing size of this population, cases of Alzheimer’s disease are expected to triple over the next 50 years. Consequently, the development of treatments that slow or halt the disease progression have become imperative to both improve the quality of life for patients and reduce the health care costs attributable to Alzheimer’s disease. Here, we demonstrate that the active component of marijuana, Delta9-tetrahydrocannabinol (THC), competitively inhibits the enzyme acetylcholinesterase (AChE) as well as prevents AChE-induced amyloid beta-peptide (Abeta) aggregation, the key pathological marker of Alzheimer’s disease. Computational modeling of the THC-AChE interaction revealed that THC binds in the peripheral anionic site of AChE, the critical region involved in amyloidgenesis. Compared to currently approved drugs prescribed for the treatment of Alzheimer’s disease, THC is a considerably superior inhibitor of Abeta aggregation, and this study provides a previously unrecognized molecular mechanism through which cannabinoid molecules may directly impact the progression of this debilitating disease. Eubanks LM, Rogers CJ, Beuscher, et al. A Molecular Link between the Active Component of Marijuana and Alzheimers Disease Pathology. Molecular Pharmaceutics. 2006;3(6):773-777. doi:10.1021/mp060066m. Cannabis sativa: the unconventional “weed” allergen. Passage of legislation in Washington, Colorado, Oregon, Alaska, and the District of Columbia allowing recreational use of marijuana, despite federal regulation to the contrary, highlights the continued debate surrounding this unconventional plant. Allergies to marijuana are not commonly reported in the medical literature despite being the most widely used illicit drug in the world. However, especially in the setting of an evolving legal status, marijuana might become an increasingly relevant “weed” for the allergist. This article aims to review the literature pertaining to Cannabis sativa in the context of allergic disease and its potential clinical implications. Ocampo TL, Rans TS. Cannabis sativa: the unconventional “weed” allergen. Annals of Allergy, Asthma & Immunology. 2015;114(3):187-192. doi:10.1016/j.anai.2015.01.004. Targeting the Endocannabinoid System in Psychiatric Illness. Prevalence of psychiatric disorders continues to rise globally, yet remission rates and patient outcome remain less than ideal. As a result, novel treatment approaches for these disorders are necessary to decrease societal economic burden, as well as increase individual functioning. The recent discovery of the endocannabinoid system has provided an outlet for further research into its role in psychiatric disorders, because efficacy of targeted treatments have been demonstrated in medical illnesses, including cancers, neuropathic pain, and multiple sclerosis. The present review will investigate the role of the endocannabinoid system in psychiatric disorders, specifically schizophrenia, depressive, anxiety, and posttraumatic stress disorders, as well as attention-deficit hyperactivity disorder. 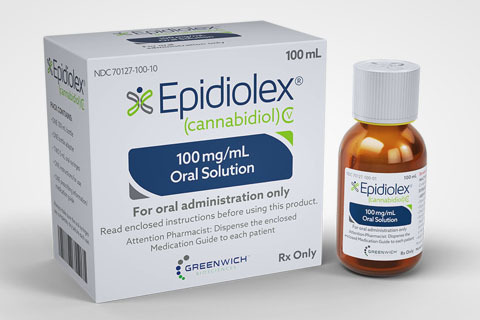 Controversy remains in prescribing medicinal cannabinoid treatments due to the fear of adverse effects. However, one must consider all potential limitations when determining the safety and tolerability of cannabinoid products, specifically cannabinoid content (ie, Δ-tetrahydrocannabinol vs cannabidiol) as well as study design. The potential efficacy of cannabinoid treatments in the psychiatric population is an emerging topic of interest that provides potential value going forward in medicine. Katzman MA, Furtado M, Anand L. Targeting the Endocannabinoid System in Psychiatric Illness. Journal of Clinical Psychopharmacology. 2016;36(6):691-703. doi:10.1097/jcp.0000000000000581.